The Force Ten Vortex 200 has been a strong and reliable shelter for us in all sorts of bad weather since 2014. Weighing in at 4.5 kilograms it’s no lightweight tent, in fact quite the opposite, and I’ve found the weight to increase even more when it’s soaking wet. 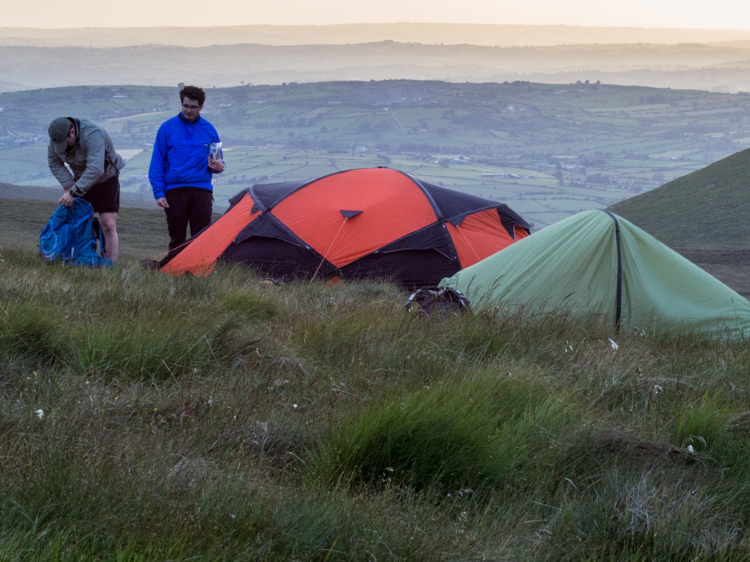 Taking the weight into account, you would expect to receive a bombproof tent packed full of features, and generally that is indeed what you get. There are four poles that make up the structure of the tent: two shaping each porch at each end and two shaping the sleeping area. The poles are made from Force Ten flexlite aluminium alloy, which are heat treated to provide extra strength, but we’re not sure just how strong this makes them. One wild night in January we took shelter in our Force Ten Vortex as high winds and rain bounced of the shelter. Overall we had a great nights sleep, despite the noise of the wind we were warm and dry throughout despite the downpour outside. It wasn’t until we returned home afterward that we discovered that the two main poles had been bent out of shape much to our dissappointment. In fairness the wind did change direction midway through the night and blew strongly on the side walls, but given the fact that this tent is aimed at serious mountain expeditions and weighs and costs accordingly, we were understandably disappointed that the poles bent. The pegs however I’m quite happy with, they come in two varities for the different points on the tent. The first is the standard straight hooked peg, which I used to secure the corners and main guylines as these are the longest in length. The second pegs provided are of the cross shaped variety which I used to fasten down secondary guylines and reinforce any other points I feel need double pegged. With snow skirts lined along the sides you have the option to build a snow wall around the edges in order to maintain even more heat. 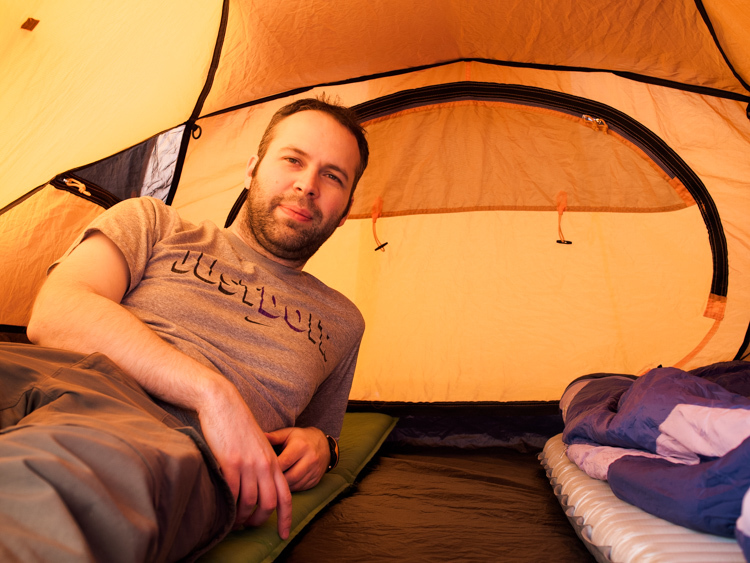 I’ve found that even without using the snow skirts the tent is more than warm enough inside. At present I can’t comment on this feature as I have yet to get camping in deep enough snow to make use of them. The geodesic design means that the tent is not only stable in rough weather, but is also free standing, meaning in fair weather you don’t need to peg out every possible guyline. The interior room is more than comfortable for two people with full winter mats, giving enough space for sleeping bags and other miscellaneous items. I would go as far to say that the tent could sleep three people if necessary. It might not be comfortable over an extended period of time, but in an emergency it would be more than doable. The dual porches on either side are a brilliant feature, meaning each person can store their own kit at each end and have their own space or one porch can be used by both when the wind is coming from the opposite direction. Having the choice is something you really appreciate when the wind is blasting down on you and your options for pitching a tent are limited. Inside the tent there are multiple storage features including a roof net and some side netting on each side, allowing you and your caming partner to store your smaller items in easy to find places. Having owned this tent for a number of years now I find myself wondering if I needed such a heavyweight tent for the winter conditions here in Ireland. 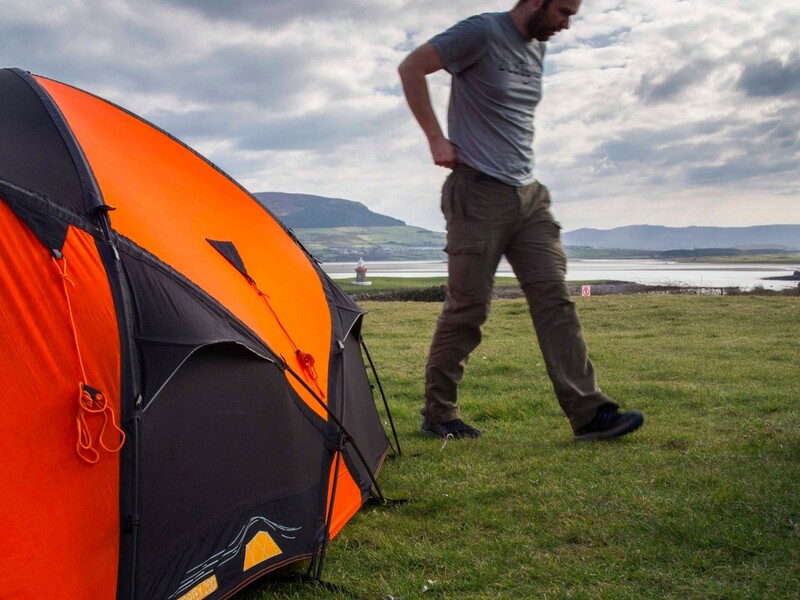 I feel that there are probably other smaller, lighter tents that could survive winter nights just as well as the Vortex but yet I’m still happy to recommend it as a purchase to someone providing they know what it is they want. If you’re debating if this tent is going to be the answer to year round shelter, then think about these points before buying: Are you willing to carry the extra weight? 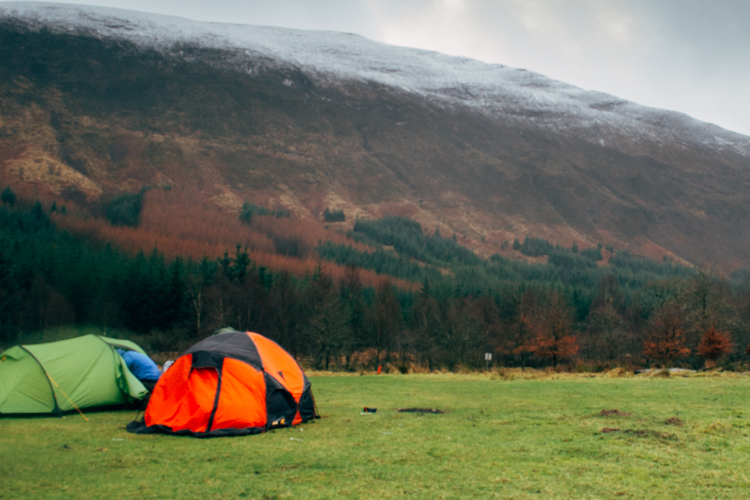 Are you able to fit the extra tent in your rucksack along with other winter gear? Is this purchase going to be used along with another camper and can you split the weight? If you’re happy with the added weight, the extra space in your rucksack and the higher price tag that the Vortex carries, then I think you won’t be disappointed after buying it. It is a great tent. However it is heavy, takes up extra space and can be seen as expensive to some – meaning it’s not the tent for everyone’s situation. The quality is good, the design is good, the colours are great. The weight is on the heavy end and the price is up there too but all in all I like owning a tent that I know is going to keep me safe in the roughest of conditions and that I can use now and in future for a long time to come.